1. In which year Southern Bihar was ceded to form the new state of Jharkhand? 2. Vishnupada Mandir is an ancient temple dedicated to Lord Vishnu. This temple is located along the Falgu River, marked by a footprint of Lord Vishnu known as Dharmasila. In which state is this temple located? 3. Which of the following India state does not share a border with Bangladesh? 4. Which one of the following states shares longest border with Bangladesh? 5. How many Indian states share border with Myanmar? 6. Which of the following Indian state does not share a border with Nepal? 7. Which of the following countries share the longest border with India? 8. Bhutan is surrounded by which of the following Indian States? 11. Match the following capital cities with their states/Union Territories. 12. Match the following states with their governors and chief ministers. W.e.f. 20 November 2018. 13. Which of the following states of India is also known as the Orchid State of India or the Paradise of the Botanists? 14. Which of the two national parks are located in Arunachal Pradesh? 15. _________________ is a borderline between Tibetan region of China and North-east region of India. 17. Lucknow is located on which of the following river banks? 18. Gwalior is located on which of the following river banks? 20. Which of the following is the only National Park located in Goa? 21. Which of the following is the largest island? 22. Which of the following states has longest coastline in India? 23. Which of the following is the highest Dam in India? 25. Match the following lakes with the states they are located in. 26. Which of the following Indian states has the Largest Forest Area? 28. Lal Bahadur Shastri Stadium is located in which of the following states of India? 29. Which of the following bank does not have its headquarter in Mumbai? 30. 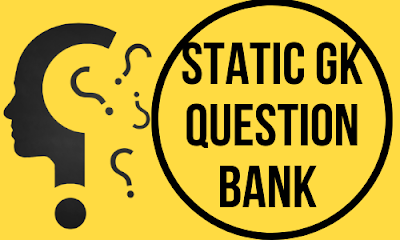 What is the tagline of UCO bank? 32. Where is India's first corporative bank Anyonya Co-operative Bank Limited is located? 33. ________________ is the first bank set up in eastern part of India after Independence. 34. What is the minimum paid-up capital required for Payment Banks? 35.Who among the following is the head of the External Advisory Committee for Payment Banks? 13. Arunachal Pradesh is also known as the Orchid State of India or the Paradise of the Botanists. 15. McMohan is a borderline between the Tibetan region of China and the North-east region of India. 17. Lucknow sits on the northwestern shore of the Gomti River. 18. Gwalior is located on the bank of Chambal River. 29. c. United Bank of India: Its headquarter is in Kolkata.